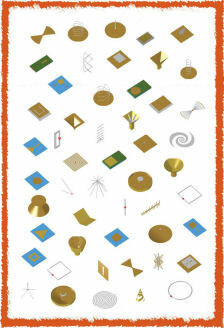 Antenna Magus version 5.1 released! 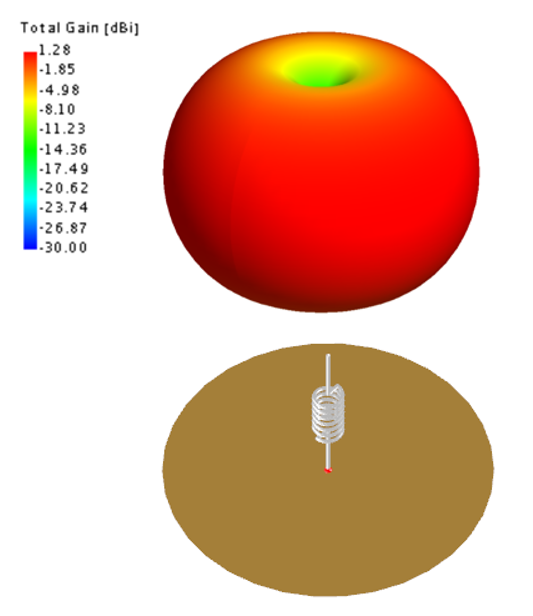 Image of the Cycloid dipole antenna. 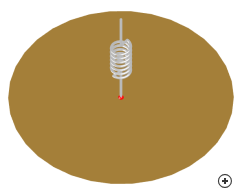 The Cycloid dipole, also known as the 'Ring and Stub', is an omnidirectional, circularly polarised antenna used primarily in FM broadcasting applications. As the physical structure of the Cycloid dipole is not symmetrical, it is typically side-mounted on masts or towers and multiple elements may be stacked to realize vertical arrays and increase gain. 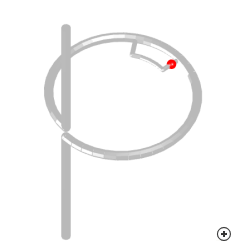 Polarisation-specific radiation patterns for a right hand circular (RHC) design. 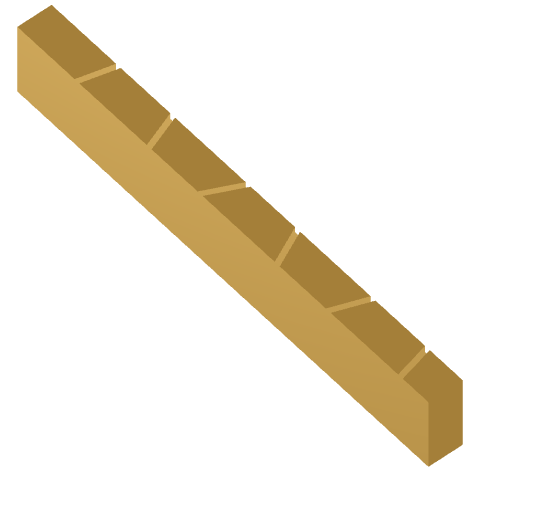 The near-horizontal loop section provides a horizontal component for the radiation, while the vertical sections provide a vertical component. 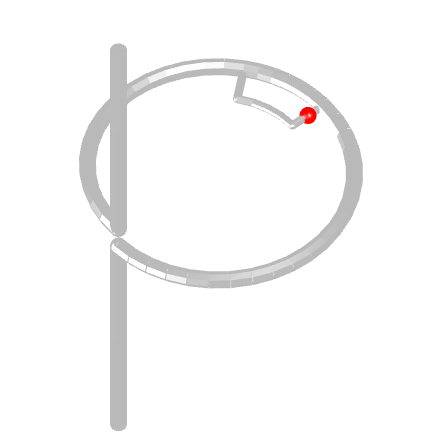 If the dimensions of the loop and vertical elements are chosen correctly, the amount of vertical and horizontal radiation, together with the correct delay between these components, will result in circular polarisation. Typically the Cycloid dipole is matched to 50 Ohm and has a narrow impedance bandwidth. The cycloid dipole has a very narrow impedance bandwidth. 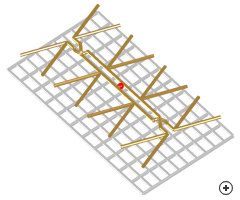 Image of the Inductively-loaded wire monopole antenna. 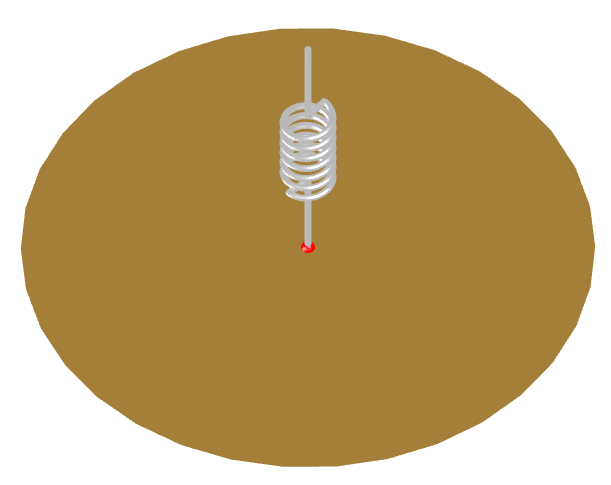 The inductively-loaded monopole antenna is a linearly polarised low gain antenna with an omnidirectional radiation pattern. 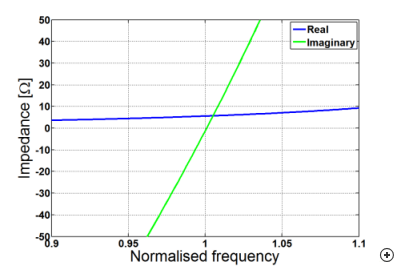 The antenna uses a series inductor to tune out the large capacitive reactance introduced by shortening the traditional quarter-wavelength long wire. Radiation pattern of the inductively loaded monopole illustrating the familiar omnidirectional pattern of a conventional monopole. 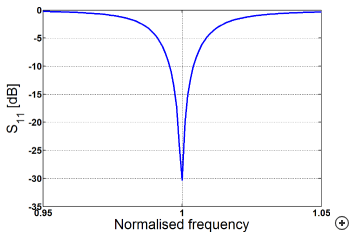 The benefit of the shorter structure comes at a price - a very low input impedance and a narrow bandwidth. 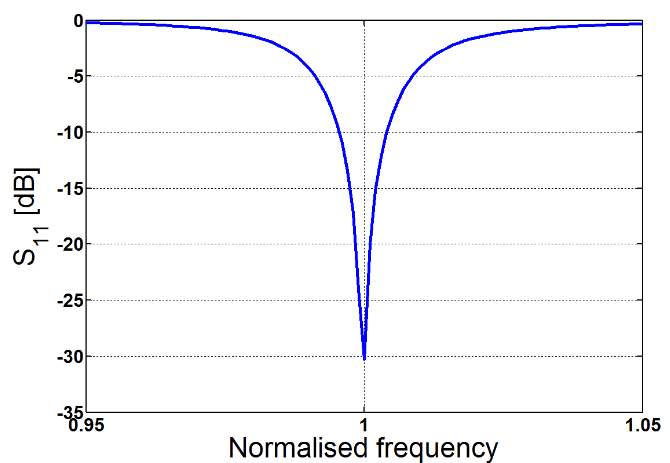 A conventional monopole may provide 10% usable bandwidth in a 50 Ohm impedance system, while the inductively loaded monopole may require matching to a real impedance below 10 Ohm and achieve a bandwidth as low as 0.5%! 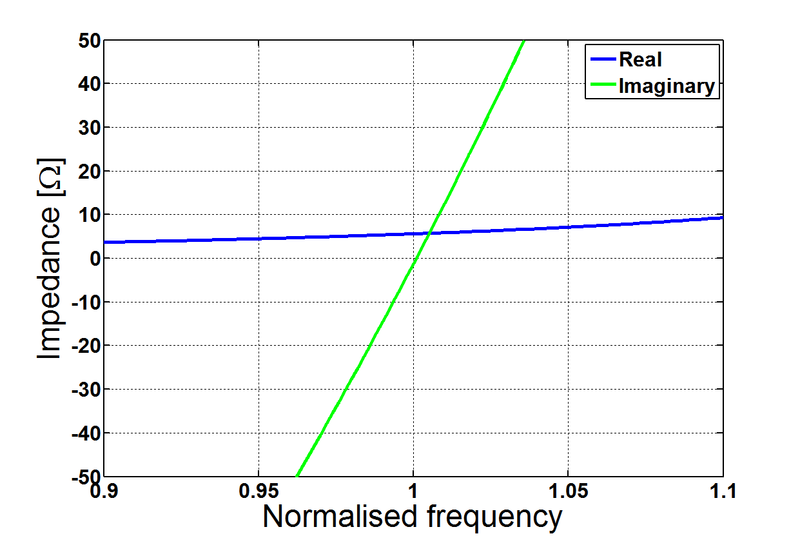 The inductively loaded monopole antenna has a very low input impedance. 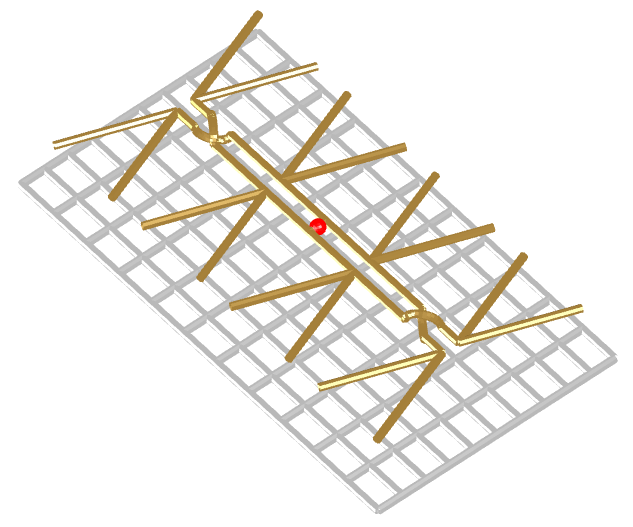 Image of the Grid reflector with four bow-tie phased array feed. This grid reflector is a popular, low cost reception antenna for terrestrial television signals in the UHF band. The antenna may be easier to mount and is less obtrusive than the other low cost reception antennas such as Yagi-Uda and LPDA-type antennas. 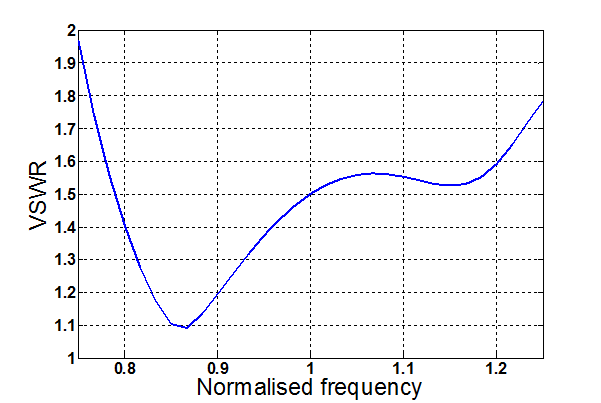 Typical 3D gain patterns at 0.8 of the centre frequency, at the centre frequency and at 1.2 of the centre frequency. The array of wire bow-tie antennas provides a fairly simple, yet wideband array with an integrated feed structure. This antenna requires a balun when feeding the structure with a coaxial cable or other unbalanced transmission line type. The balun is often designed to also provide impedance matching. For example, in TV applications, the balun provides an impedance transformation from 300 Ohm to 75 Ohm. By placing a planar reflector behind the bowtie array, a directional radiation pattern is achieved. The wire construction of the grid reflector makes the antenna light-weight and practical at lower frequencies. 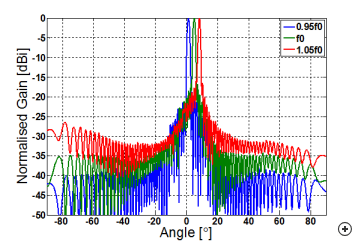 While the bowtie array feed provides acceptable input reflection performance over a 2:1 band, the usable bandwidth is dictated by the pattern stability - which is limited to approximately 1.55:1. 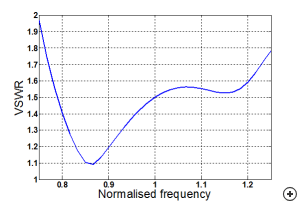 VSWR performance of the antenna in a 300 Ohm system.